What is the connection between a flood that devastated the city of Florence, its museums and libraries in 1966, and the practices of library preservation and conservation? 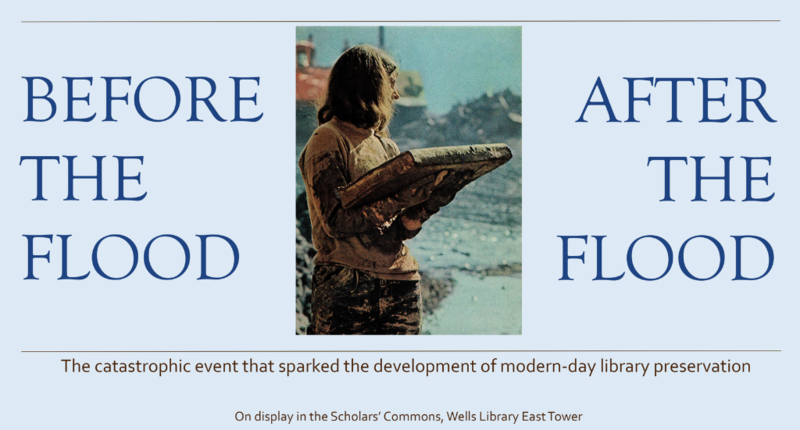 Come see the exhibit, BEFORE THE FLOOD, AFTER THE FLOOD, curated by the staff of the Preservation Department in the IU Libraries, to learn how a terrible disaster helped establish the principles and practices that form the basis for library preservation and conservation efforts today. Exhibit on view April 3 through June 14, 2019 in the Scholars’ Commons, Wells Library East Tower. Learn more at this blog post by the E. Lingle Craig Preservation Lab.